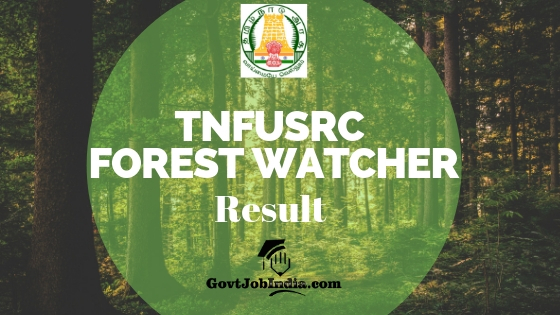 Tamilnadu Forest Watcher Cut Off Marks 2019- The Tamil Nadu Forest Uniformed Services Recruitment Committee will soon publish the TNFUSRC Forest Watcher Result 2020 as the examination has been completed. Furthermore, the board will also publish the TN Forest Watcher Cut Off and TNFUSRC Forest Watcher Merit List 2019-20. If you were one of those who attempted the exam and is waiting for the TN Forest Watcher Result 2019-20, you will find all the details of this right here on this page. This information will give you a general understanding of the expected TNFUSRC result. Also note that we have given in depth about the next stage of the recruitment process, which will be “document verification”. Additionally, we have also given the direct link to the TNFUSRC Result which means that you can directly access your result when it comes out. Additionally, as you may know, the TNFUSRC Recruitment 2019 was a booming opportunity for all candidates across the state who wanted to secure a govt job like this. If you qualify for this recruitment, consider yourself extremely lucky! How to Download TNFUSRC Forest Watcher Results 2019 Online? 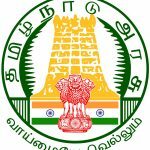 Begin the viewing process by going to the official website of the Tamil Nadu Forest Uniformed Services Recruitment Committee (TNFUSRC) which is www.forests.tn.gov.in. When you’re on the official website, go to the recruitment section and the TNFUSRC Forest Watcher result will be there as a newsflash. Click on it. NOTE: In case the part mentioned above is not visible, you can assume that the result has not yet been declared. Alternatively, you can click on the link provided just below which will take you to the window mentioned above right away. Enter your registration details. (Registration number and password). Submit this information and your result will be on your screen. How was your score? Did you qualify? Let us know in the comment section. In order to secure a place in the next stage of the recruitment process, a candidate has to secure minimum cut off marks regulated by the board. Various factors are considered for this other than the differences and the different categories as decided by the authorities. The previous year’s cut-offs are given here by us to give you a rough estimate of how the cut-offs will be for this coming year. For the next stage of recruitment, those applicants who have scored above the cut off marks will be called. The names of those candidates will feature in the TNFUSRC Selected Candidates’ List and since there is no interview for this recruitment, candidates will be called for document verification. Upon verifying your documents, candidates will be selected. The documents which need to be carried for the verification will be intimidated to you via SMS or email. We will also update our page when this information comes up. Have you experienced any trouble in getting your TNFUSRC Forest Watcher Result 2019-20? If yes, you can leave in the comments section exactly where you are finding it difficult. As soon as possible, our team will get back to you. Apart from that, we are eager to hear about your score. Please let us know whether you have qualified for TNFUSRC Exam, how was your score etc in the comment section below. Since there are a lot of aspirants are there who wrote the exam, please make sure that you share this article with anyone you know who appeared for the exam. We urge you not to forget to subscribe to our website GovtJobIndia.com for updates regarding any govt notification across the country.